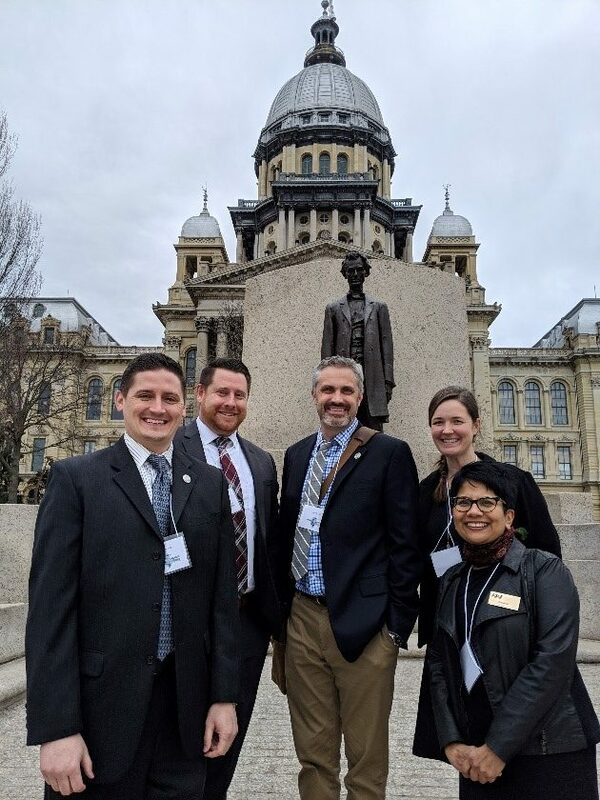 ASCE IL Section was proud to participate in the Annual Legislative Lobby Day in Springfield. ASCE teamed up with American Counsel of Engineering Companies (ACEC) of Illinois and Transportation for Illinois Coalition (TFIC) to encourage our elected officials to create a capital bill for investing in Illinois’ infrastructure. Teaming up with other Illinois engineering and transportation organizations, we had diverse groups of businesses, organized labor, industries, and not-for-profits speaking to our legislators with one voice. 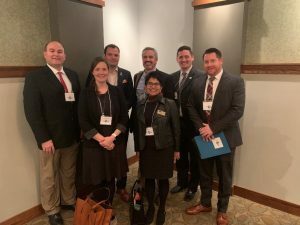 Over 100 attendees were split into ten groups, each with a knowledgeable lobbyist, to visit with a combined 111 state senators and representatives. Individual group members brought a unique perspective as to why infrastructure spending and investment is important. The farmers who need working infrastructure to move their product, FedEx Ground who need reliable roads to provide their delivery services, and ASCE members who know that we need to close the near $2.0 trillion 10-year investment gap. We brought our expertise, stories and the ASCE 2018 Illinois State Infrastructure Report Card to communicate the poor state of our infrastructure with our elected officials. For those ASCE members who were not able to join us, we encourage you to reach out to your legislators. Talking points include: 2018 ASCE IL report card, the need for an immediate capital bill and finally the commitment to long-term sustainable funding. Long term funding is critical to help public agencies create multi-year programs which allows work in critical corridors rather than only isolated pockets. As Civil Engineers we have the unique ability to educate the public through our Legislators on the importance of maintaining our unique position as the nation’s crossroads, of Hub of the country’s infrastructure.